Myelodysplastic syndromes (MDS) are the most common hematological malignancies involving mostly the elderly population. The major morbidity relates to patients’ symptomatic cytopenias.MDS was previously named as “preleukemia “ or “ smoldering leukemia” as the lack of terminal cells in MDS and because about 25% of all cases progresses into acute myeloid leukemia. According to various reports the annual incidence of MDS ranges widely from 2-12 per 100.000, increasing to 30-50 cases per 100.000 among persons aged 70 or older. It is believed that the true incidence of MDS have been underestimated however it seems to be comparable to that for multiple myeloma and chronic lymphocytic leukemia. In the past decade much progress had been made; we know more on the disease pathology, there is more emphasis on the care and more targeted therapy had been invested. 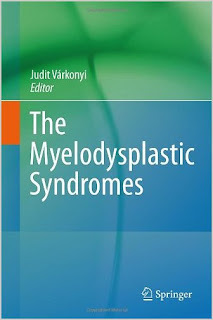 Authors provide updated knowledge in this book on all clinically important aspects of the disease. Hot topics of our days are discussed in chapters by outstanding and well known scientists from all over the world. We would offer this product both for medical students and postgraduates as well as for all who are interested in this very exciting and fast progressing field of hematology. With this work authors should call attention on the disease for decision makers in healt care systems as well.